Edward Jones is suing two advisors who moved to Ameriprise for allegedly violating non-solicitation agreements, making this the latest case of a brokerage firm taking its former employees to court over client contacts. At stake is the $150 million in combined assets that Edward Jones says the duo oversaw (an Ameriprise spokeswoman says they had $215 million). Edward Jones asserts that clients have already transferred more than $19 million to its rival Ameriprise. Edward Jones claims advisors Debra Feaser and Michael Eisenbraun have taken confidential information, accusing them of printing out lists containing more than 1,000 client names, phone numbers and other information. The advisors deny the allegations, asserting they took no information and solicited no clients. The dispute mirrors similar lawsuits filed by brokerage firms this year. Firms have become more aggressive in protecting what they see as their clients, according to attorneys who represent advisors in litigation. The number of such lawsuits has risen since Morgan Stanley left the Broker Protocol, an industrywide agreement that permitted advisors switching firms to take basic client contact information with them. Morgan Stanley has sued several advisors this year, and is currently engaged in litigation with a team that moved to Stifel in September. Jim Eccleston, an attorney not affiliated with this case, has seen “increased angst among financial advisors considering a transition.” He and his partner Stephany McLaughlin have stepped up their efforts to prep advisors for career moves. “Federal court filings show that year-over-year, Edward Jones and Morgan Stanley substantially have increased their court filings against transitioning financial advisors, with UBS filing an equal, but large, number of lawsuits year over year. Clearly, Morgan Stanley and UBS are putting their court filings where their mouths are — having exited the Protocol for Broker Recruiting and wishing to send a message to their advisor ranks,” Ecceleston said. While Edward Jones is not a member of the protocol, its use of litigation against departing brokers comes as the St. Louis-based firm steps up its own efforts to recruit experienced talent away from its rivals. A spokesman for Edward Jones says the company pursues legal action against former financial advisors it believes to have violated their employment agreements. "In this case, we believe the individuals involved both took confidential client information and solicited Edward Jones clients to move their business elsewhere." In its lawsuit, Edward Jones claims Feaser and Eisenbraun “secretly” made copies of client files and confidential records and took these with them when they left the company on Nov. 2 to open a new practice with Ameriprise on Staten Island, New York. The firm says that Feaser printed a list on Sept. 25 described as “All Clients for Debra.” Just over 1,000 names were on that list which included information such as “primary phone number, call preference, account number, address and acceleration code,” according to Edward Jones’ lawsuit. The following day, Eisenbraun printed a similar list of 66 clients, the firm says. 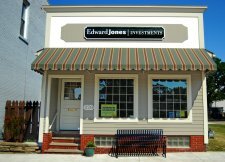 Edward Jones also claims that Feaser and Eisenbraun have since been soliciting clients in violation of their contracts, posing a direct threat to the firm’s unique business model of operating one-advisor branch offices, almost all of which are located in small towns or suburbs. 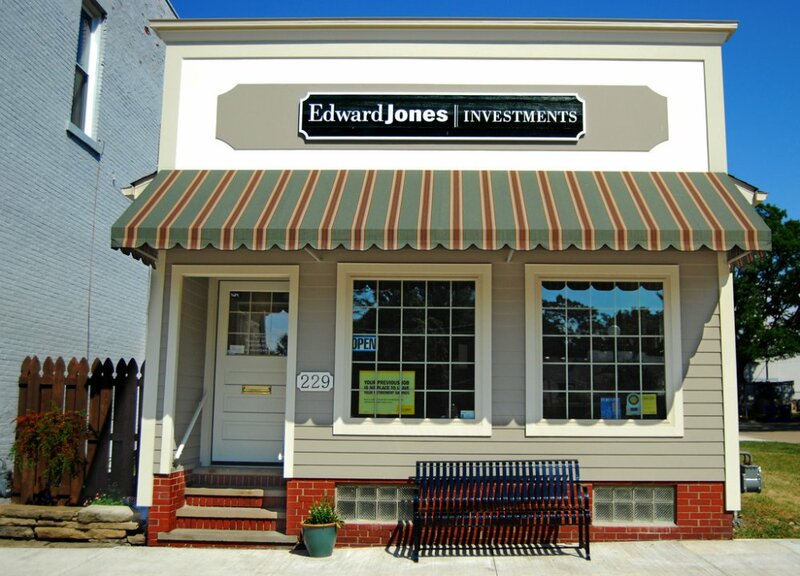 Edward Jones has more than 14,000 brokers in the U.S.
“The successful operation of Edward Jones’ offices in these markets, dealing almost exclusively with individual investors, is the result of many years of effort, research, promotion, advertising, time, expense, marketing and good will expended by Edward Jones,” the firm says in its lawsuit. Feaser and Eisenbraun’s actions “have damaged the financial viability of the Edward Jones’ Staten Island, New York office because they have solicited Edward Jones’ clients representing a significant amount of assets, as well as caused noncompensable damages to Edward Jones’ business reputation and the goodwill it has developed at great effort and expense over the years,” the firm claims. Feaser, an advisor of 24 years, had been with the company since 2003, according to FINRA BrokerCheck records. Eisenbraun started his career at Edward Jones two years ago. Neither the advisors nor their attorney were available for comment. An Ameriprise spokeswoman confirmed that Faeser and Eisenbraun joined the firm’s employee channel but otherwise declined to comment.